With more than 1,200 votes cast in the Best of Alberta Politics survey, Minister of Education David Eggen came up on top in the Best Cabinet Minister of 2017 category. 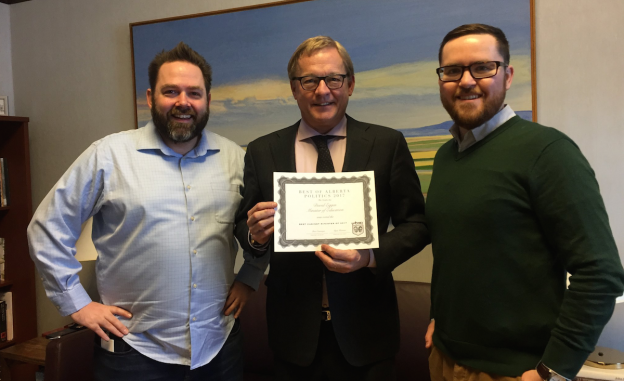 Adam Rozenhart and I were delighted to visit David Eggen at the Legislative Assembly this month to present him with his award. 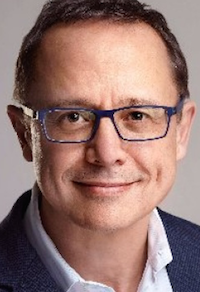 Eggen was appointed Minister of Education in May 2015 and has since been a champion for investment in public education infrastructure and creating safe learning environments for all students, including protecting the rights of students to form Gay-Straight Alliances. 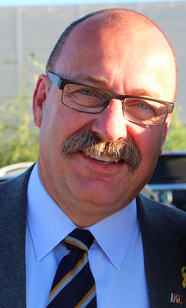 He was re-elected as the New Democratic Party MLA for Edmonton-Calder in 2015, a district which he had previously been elected in 2004 and 2012. He ran for the leadership of the Alberta NDP in 2014, placing second to Rachel Notley. Listen and subscribe to the Daveberta Podcast on Apple Podcasts, Google Play, or wherever you find podcasts online. 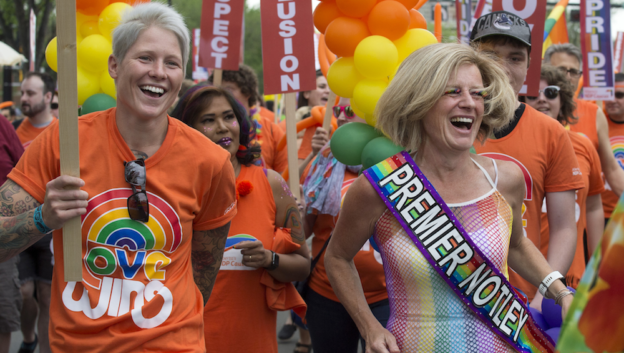 This entry was posted in Alberta Politics and tagged Adam Rozenhart, Alberta NDP, Best of Alberta Politics 2017, Dave Cournoyer, David Eggen, Edmonton-Calder, Gay-Straight Alliances, Rachel Notley on February 19, 2018 by Dave Cournoyer. 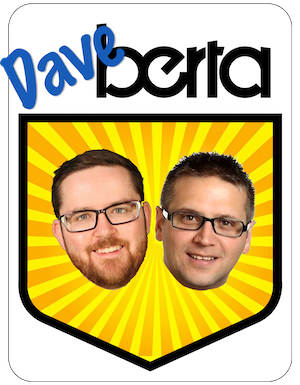 In the latest episode of The Daveberta Podcast, Ryan and I discuss Kara Levis‘ entry into the Alberta Party leadership race, the results of the Calgary-Lougheed by-election, Conservative MPs being challenged for their nominations, and we reveal the winners of the Best of Alberta Politics 2017 Survey. We’d love to hear what you think of the podcast, so feel free to leave a positive review and share the podcast with your friends and family. Also feel free to leave a comment on this blog, Facebook or Twitter or send us an email at podcast@daveberta.ca. We will be back in January 2018! This entry was posted in Alberta Politics, Daveberta Podcast and tagged Adam Rozenhart, Alberta NDP, Alberta Podcast, Alberta Politics Podcast, Best of Alberta Politics 2017, Dave Cournoyer, Daveberta Podcast, David Eggen, David Shepherd, David Swann, Economy and Jobs, Gay-Straight Alliances, Greg Clark, Jason Kenney, Jessica Littlewood, Nathan Cooper, Oil Pipelines, Rachel Notley, Ryan Hastman, Sarah Hoffman, Shannon Phillips, United Conservative Party on December 22, 2017 by Dave Cournoyer. 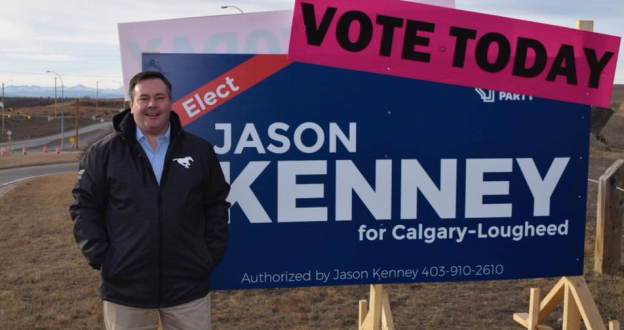 Attempts by Jason Kenney’s opponents to paint him as an extremist social conservative failed to stop the United Conservative Party leader from winning a crushing landslide victory today in Calgary-Lougheed. With 22 of 22 polls reporting, Kenney had earned 7,760 votes, 71.51 percent of the total votes cast in the by-election. The UCP had a strong candidate, a strong organization and solid base of voter support in the district. And like the previous two by-elections held since the last election, this district avoided the New Democratic Party’s Orange Wave when voters re-elected Progressive Conservative Dave Rodney in 2015. 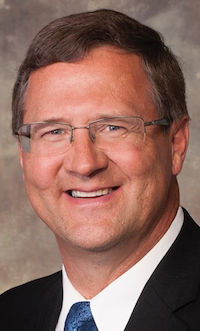 NDP candidate Phillip van der Merwe placed second with 1,822 votes, 16.79 percent of the votes cast. van der Merwe was a high quality candidate for the party in Calgary, but his chances of upsetting Kenney were always slim to none. The NDP were spared the embarrassment of placing third, a spot that fell to newly elected Liberal Party leader David Khan, who earned 1,009 votes, 9.3 percent of the total vote. Khan’s showing was only a small improvement on the party’s showing in 2015, but it should be enough to concern the NDP that even a Liberal Party on life-support can eat into their vote share. Despite support on the campaign trail from Premier Rachel Notley and a handful of high-profile cabinet ministers, NDP support was cut in half from the 2015 election, which is not a good sign for the governing party. The NDP should use the Calgary-Lougheed by-election as an opportunity to recalibrate their line of attack against the UCP leader. 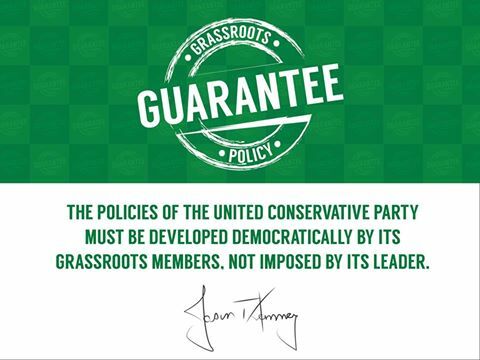 Kenney is a professional political networker unlike we have ever seen in Alberta politics, and he should not be underestimated. 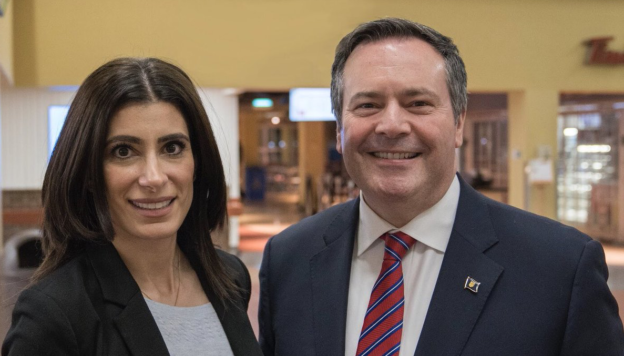 While the NDP have been racking up easy wins against fumbling and confused UCP MLAs on the floor of the Legislative Assembly, Kenney has been activating a network of conservative political activists and supporters he has built over the past twenty-five years. Two months ago, I wrote that the NDP were betting Albertans would forgive their more unpopular policies when reminded of the Kenney’s more bizarre social conservative views. On the flip-side, Kenney was betting Albertans would forgive his social conservative views when reminded of the NDP’s more unpopular policies. The NDP painted Kenney as an extremist during the recent debate over Gay-Straight Alliances, and while his social views are probably out of step with most Albertans in 2017, that does not appear to have had an impact on him or the UCP in this by-election. Kenney’s relentless attacks on the NDP’s fiscal and economic agenda appear to be resonating in Calgary, where NDP MLAs are expected to face a very steep uphill battle in their bids for re-election. While I am sure the NDP’s strategists in Edmonton are hard at work preparing for the next election, it may be time to rethink how they approach the UCP leader as he enters the Assembly. This may have only been one by-election in a district already held by the UCP, but it should be a wake-up call for the NDP. The next general election is only a short 14 months away. Make sure to vote in the Best of Alberta Politics 2017 Survey. The first round of voting will close at 11:59pm on Friday, December 15, 2017. Voting for the top 3 results in each category will begin on Sunday, December 17, 2017. We will reveal the results of the survey on the next episode of the Daveberta Podcast, which you can listen and subscribe to on Apple Podcasts, Google Play, and wherever you find podcasts online. This entry was posted in Alberta Politics and tagged Alberta Liberal Party, Alberta NDP, Calgary-Lougheed, Calgary-Lougheed by-election, Dave Rodney, David Khan, Gay-Straight Alliances, Green Party of Alberta, Jason Kenney, Larry Heather, Lauren Thorsteinson, Phillip van der Merwe, Rachel Notley, Reform Party of Alberta, Romy Tittel, United Conservative Party, Wayne Leslie on December 15, 2017 by Dave Cournoyer. I had a chance to chat with New Democratic Party candidate Phillip van der Merwe on the phone this week about the December 14, 2017 by-election in Calgary-Lougheed. 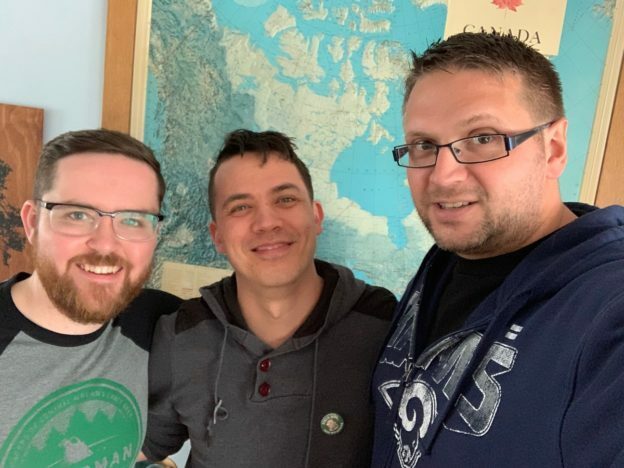 The first-time political candidate practices family medicine in Calgary and was the co-chair of the PCN Physician Leads Executive during their recent negotiations with the Alberta government. 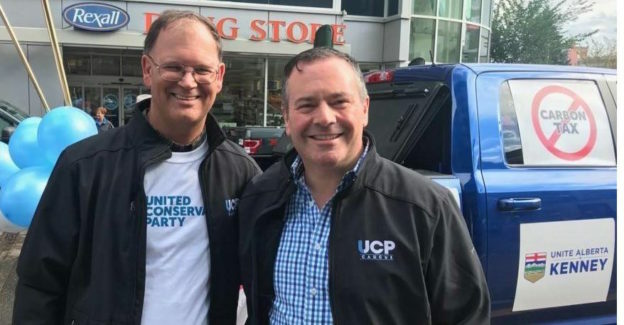 The construction of a new cancer centre in Calgary was a big issue in the last election, so a recent comment by a United Conservative Party MLA Glenn van Dijken about the new Calgary Cancer Centre being a “fancy box” certainly gave van der Merwe some extra material to use while campaigning at the doors. But while health care is one of the issues he spoke most passionately about during our chat, jobs and the economy remain a top issue for many Calgary voters. While the economy has stabilized since 2014 and is showing signs of growth, van der Merwe was honest about the slow recovery in Calgary. 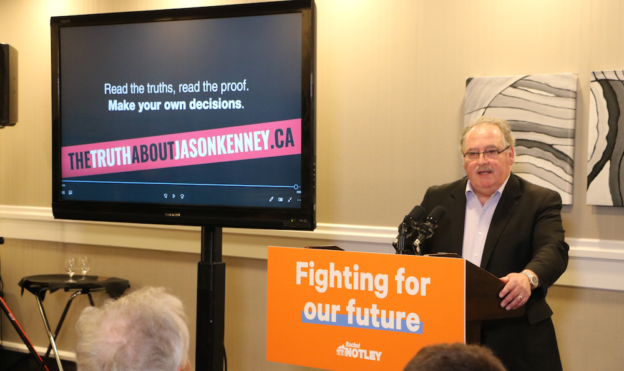 “I can tell you that families are very concerned about Mr. [Jason] Kenney’s 20 percent budget cuts and what that will mean in the economy alone – just ripping the bottom from under it,” said van der Merwe, echoing statements made by Premier Rachel Notley about the dangers of UCP budget cuts. And on the NDP’s chances in a future election, van der Merwe believes that 2015 election was more than the “accident” that the NDP’s opponents tend to frame it as. “Mr. Kenney is out of touch with what Calgary wants. Not only is his social stance out of touch with the 21st century, period, but it’s out of touch with what Albertans and Calgarians want,” said van der Merwe. Kenney and the UCP tied themselves in knots last month over the issue of Gay-Straight Alliances in Alberta schools, an issue the NDP were eager to let their opposition stumble over. 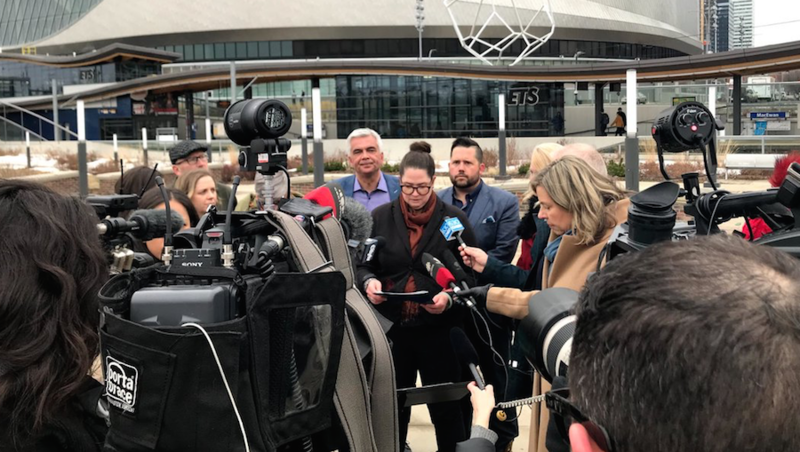 Dr. van der Merwe has had help on the campaign trail over the past few weeks from Finance Minister Joe Ceci, Education Minister David Eggen, Culture and Tourism Minister Ricardo Miranda, Indigenous Relations Minister Richard Feehan, and Calgary-Shaw MLA Graham Sucha. UCP leader Jason Kenney hosted a well-attended town hall meeting in Calgary-Lougheed on December 5, 2017. He was also spotted campaigning alongside Calgary-Foothills MLA Prasad Panda and Fort McMurry-Wood Buffalo MLA Tany Yao. Green Party leader Romy Tittel released her party’s manifesto for democracy, which calls for the adoption of a Proportional Representation electoral system, the banning of all election donations and use of mass media for campaign communications, and the creation of citizen initiated legislation through online petitions. Liberal Party leader David Khan was endorsed by 8-time Juno Award-winning artist Jann Arden. Arden tweeted her support for the Liberal leader on December 6, 2017. “We have to move intelligently forward. 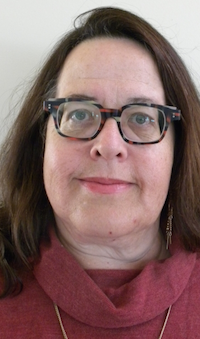 Not backward,” Arden wrote in her endorsement of Khan. All-Candidates Debate: The Calgary Leadership Forum is hosting an all-candidates debate for Calgary-Lougheed on December 10, 2017 from 1:30 p.m. to 4:00 p.m. at the Braeside Community Hall (11024 Braeside Drive SW, Calgary). This entry was posted in Alberta Politics and tagged Alberta Liberal Party, Alberta NDP, Calgary Cancer Centre, Calgary-Lougheed, Calgary-Lougheed by-election, David Eggen, David Khan, Fancy Box, Gay-Straight Alliances, Glenn van Dijken, Graham Sucha, Green Party of Alberta, Jann Arden, Joe Ceci, Phillip van der Merwe, Prasad Panda, Rachel Notley, Ricardo Miranda, Richard Feehan, Romy Tittel, Tany Yao, United Conservative Party on December 8, 2017 by Dave Cournoyer. 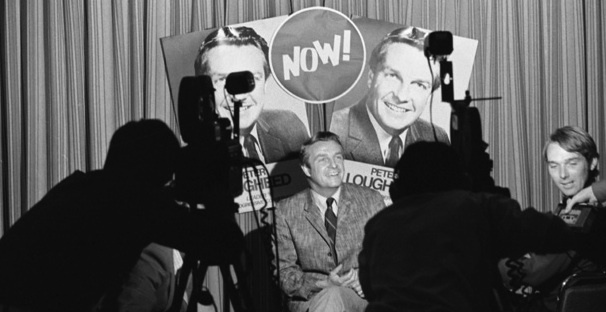 Photo: Former Alberta Premier Peter Lougheed. The Calgary-Lougheed electoral district is named after Lougheed. It has been one week since the Calgary-Lougheed by-election was called. The by-election is being held on Dec. 14, 2017, but voters in this district also have the option of voting in advance polls on Dec. 6, 7, 8 and 9, 2017. This is the third by-election since the general election of 2017 that swept the New Democratic Party into government. And like the previous two by-elections, this one will be held in a district where voters elected a Progressive Conservative MLA in 2015. Premier Rachel Notley was on-hand with Alberta NDP candidate Phillip van der Merwe at tonight’s opening of the party’s campaign office in Calgary-Lougheed. 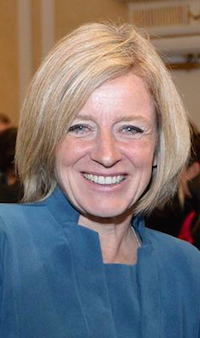 Having just returned from speaking engagements in Vancouver and Toronto, where she pitched the benefits of oil pipelines, Notley returned to Calgary days after the Conference Board of Canada projected Alberta’s economy could grow by 6.7 percent in 2018. But do not expect the NDP to spend much time focusing on economic issues. They are doing their utmost to make sure Jason Kenney’s opposition to the recent Gay-Straight Alliance law and his support from anti-abortion groups remains a topic of discussion. This will be a tough election for the NDP, as this area of southwest Calgary is considered bedrock conservative territory. In the recent Calgary mayoral election, voters in this part of Calgary supported conservative Bill Smith over progressive Naheed Nenshi. UCP candidate Jason Kenney drew a big crowd of supporters when he opened his campaign office on Nov 19, 2017. The recently elected UCP leader is almost universally considered the favourite to win this by-election. Kenney and his supporters have started to claim that Albertans’ home heating bills will increase by 75 percent because of the province’s Carbon Levy. Environment and Parks Minister Shannon Phillips denied Kenney’s claims, describing them as ‘patently false,’ but the UCP has capitalized on confusion about the provincial and federal carbon taxes in order to draw connections between the Notley NDP and the Trudeau Liberals. 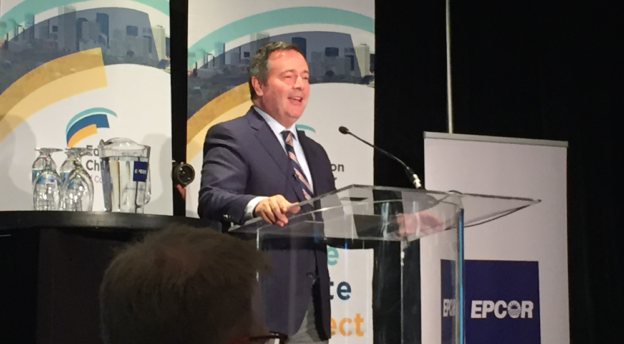 The claims are reminiscent of Kenney’s rhetoric and photo-op from December 31, 2016, when he insinuated the same Carbon Levy would lead to a spike in automobile gas prices. That didn’t happen. With constant predictions that the sky is falling on the issue of a carbon tax and rampant truthiness on other issues, Kenney is sounding more and more like Chicken Little. Liberal Party leader David Khan announced he will stand as his party’s candidate in this by-election. The Liberals currently hold only one seat in the Legislature, Calgary-Mountain View represented by former leader and fourth-term MLA David Swann. This will be Khan’s third election attempt since 2014 and his first since becoming leader earlier this year. He first ran as his party’s candidate the 2014 Calgary-West by-election, where he placed 3rd with 8.5 percent of the vote. In the 2015 general election he ran in Calgary-Buffalo, where he placed 3rd with 24.7 percent of the vote (the constituency was represented by Kent Hehr from 2008 to 2015). The Liberals will host an “Ugly Christmas Sweater & Karaoke Party” fundraiser at Khan’s campaign office on December 9, 2017. Recently elected Green Party leader Romy Tittel will run as her party’s candidate in the by-election. An online statement said she plans to champion “Doughnut Economics” based on Kate Raworth’s 21st century vision for future economic health and prosperity. 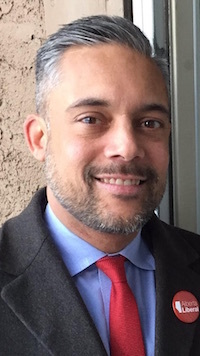 Tittel was selected as the party’s leader at a November 5, 2017 meeting in Red Deer. 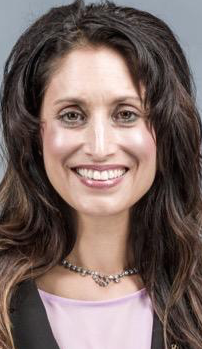 She previously ran for the federal Green Party in the 2015 general election in Foothills, where she placed 4th with 3.25 percent of the vote. The Alberta Party announced this week that it will not be running a candidate in the by-election. Party leader Greg Clark, who is stepping down as party leader next year, called the results of the by-election “a foregone conclusion,” suggesting that the party would have no chance of defeating Kenney. Sitting out this by-election presents a missed opportunity for the Alberta Party to debut itself following its revival last weekend in Red Deer. But having their candidate get clobbered by Kenney would take a bite out of their narrative that they are a growing home for moderate conservative voters. By not running a candidate, the Alberta Party saves themselves the embarrassment of placing third, fourth or fifth in this by-election. This entry was posted in Alberta Politics and tagged Alberta Liberal Party, Alberta NDP, Alberta Party, Bill Smith, Calgary-Lougheed, Calgary-Lougheed by-election, Carbon Levy, David Khan, David Swann, Doughnut Economics, Gay-Straight Alliances, Green Party of Alberta, Greg Clark, Jason Kenney, Kate Raworth, Naheed Nenshi, Peter Lougheed, Phillip van der Merwe, Rachel Notley, Romy Tittel, Shannon Phillips, Truthiness, United Conservative Party on November 23, 2017 by Dave Cournoyer.